Five years ago, we identified ten players to watch on tour in 2013, who had the potential to feature prominently on leaderboards that season. Featuring a variety of names from experienced heads looking to bounce back, to emerging youngsters, several of those included progressed to achieve success in future, while others have failed to reach that level, underlining the difficulty and and challenges that come with being successful on an increasingly competitive and international professional golf scene. We take a look back at those 10 Golfers and ask: Where Are They Now? What Golshake Said in 2013: "Si Woo Kim made PGA Tour history in November by becoming the youngest player to earn a tour card through Q-School. The 17-year-old Korean won’t be able to take up full-time membership until he turns 18 in June, and will have to rely on invitations and Monday qualifying until then, but someone with such aptitude and mental strength at such an early age is an exciting addition to the top-tier professional game." Where Are They Now? Kim played consistently well on the Web.Com Tour during 2014, becoming the second youngest winner on the circuit in 2015. He progressed onto the PGA Tour for 2016, claiming victory at the historic Wyndham Championship, before following that up with a remarkable triumph at THE PLAYERS Championship last May. He most recently finished runner-up at the RBC Heritage after losing a playoff at Harbour Town. The 22-year-old is ranked 39th in the World. What Golfshake Said in 2013: "In 2011, Bud Cauley became only the seventh player to bypass Q-School and earn his tour card for the 2012 season, amassing $735,150 in just seven starts. This year, he recorded six top-10 finishes on the PGA Tour, earned almost $1,800,000 and was one of five nominees for the Rookie of the Year accolade. You get the impression that once Cauley wins his first tournament, many, many more will follow. If the American doesn’t win a major during his career, it’ll be considered a surprise." Where Are They Now? Cauley struggled on the PGA Tour in 2013, ultimately restoring his place on the main circuit after winning the Hotel Fitness Championship on the Web.Com in 2014. Injuries have blighted his progression since then, but the 28-year-old is ranked 113th, and has been slowly moving up year-by-year. However, that maiden victory on the PGA Tour remains elusive. What Golfshake Said in 2013: "In July, Robert Karlsson withdrew from The Open Championship after suffering a dreaded case of the ‘yips’ during a practice round. He spent a month working with a sports psychologist, and struggled for any semblance of form after returning to competitive golf. Things started improving at the end of the season, though, and he came through two stages of Q-School to earn a 2013 PGA Tour card. With his troubles behind him, Karlsson could be in contention for the FedEx Cup come September." Where Are They Now? The former European No. 1 has never consistently made it back to form. Making it back inside the World Top 100 during 2014, the Swede has enjoyed limited success in the years since, but did finish in third place at the British Masters last October, illustrating that quality remains. However, at 48, he will be looking forward to the Senior Tour. What Golfshake Said in 2013: Korean Seung-yul Noh has a near-perfect golf swing, and I’d be surprised if he wasn’t inside the world’s top ten by the time he turns 23. He won on the European Tour in 2010 at the Maybank Malaysian Open, the second-youngest player to do so. In 2011, he entered PGA Tour Q-School (the second-youngest player in the field) and finished in a tie for third, qualifying at the first attempt. This season, he posted 13 top 25s in 28 starts, including three top 10s, and earned more than $1,600,000. A maiden PGA Tour victory is just around the corner for this talented youngster. Where Are They Now? Noh did secure his first title on the PGA Tour in 2014 at the Zurich Classic of New Orleans, but success has been limited since, and last November he confirmed that he would be leaving the circuit to complete mandatory military service in South Korea at the age of 26. What Golfshake Said in 2013: "Luke List turned professional in 2007 after graduating from Vanderbilt University. He joined the Web.com Tour 2010, returning four top-ten finishes en route to finishing 38th on the Money List. This year, he won for the first time at the South Georgia Classic, and with three second-place finishes and six top-ten finishes, he ended the season in fourth position on the Money List. The American is an aggressive player who hits the ball an exceptional distance off the tee, and will be an exciting addition to the PGA Tour." Where Are They Now? List failed to retain his status on the PGA Tour that season, and took a couple of years to return, but the 33-year-old has become a consistent performer and his ranked 53rd in the world. Finishing in a tie for third at the recent RBC Heritage, he lost out to Justin Thomas in a playoff at the Honda Classic in 2018. That maiden victory seems closer. 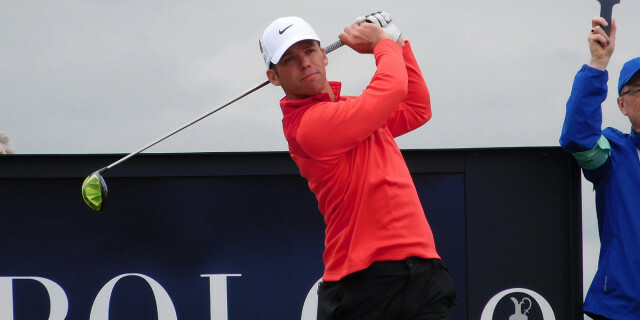 What Golfshake Said in 2013: "Luke Guthrie turned many heads with his performances this year, and looks set to make quite an impression in 2013. Guthrie started playing on the Web.com Tour this season whilst still studying at the University of Illinois. In his first seven starts, he recorded four top-10 finishes and two wins at the Albertson Boise Open and WNB Golf Classic. He also played four events on the PGA Tour, finishing in the top 20 on three occasions. Guthrie has demonstrated outstanding pedigree and ability at an extremely early age, and it wouldn’t be at all surprising if he won in his first year on tour." Where Are They Now? Luke finished third at the Honda Classic that season, but that has been a rare bright spark in what has been a frustrating career to date. Playing between the PGA and Web.Com Tours, the 28-year-old is now ranked 689th in the World, falling short of that significant promise of 2012. What Golfshake Said in 2013: "Last Christmas, Paul Casey injured his shoulder in a snowboarding accident and missed three months of the season. He spent more time out after rushing his recovery, and endured a torrid few months upon his return. On the European Tour, between May and September, Casey only carded two rounds in the 60s. He found some form at the end of the season, however, recording four consecutive top 10s to narrowly miss out on qualifying for the season-ending DP World Tour Championship. He will be extremely determined to make up for lost time, especially with so many of his compatriots excelling on the world stage." Where Are They Now? Casey ended a long wait for success by winning the Irish Open. He won the KLM Open a year later. Back on the PGA Tour, the now 40-year-old has been a superbly consistent performer, with a succession of high finishes, including four runner-ups and three top tens at the Masters. However, winning succcess on a Sunday proved elusive, until the recent Valspar Championship, final round of 65 was enough to finish one ahead of a resurgent Tiger Woods and Patrick Reed. Now ranked 15th in the World, the Englishman is eligible to return to the Ryder Cup for the first time in a decade this September, after taking up membership of the European Tour. What Golfshake Said in 2013: "Kristoffer Broberg, the 26-year-old Swede, is one of the most exciting prospects in world golf. He joined the Challenge Tour mid way through 2012 and won the Finnish Challenge in just his second start. He went on to win the next week at the Norwegian Challenge before a third victory in four weeks at the Rolex Trophy. As a result, he earned an instant promotion to European Tour, becoming the fastest player to achieve that feat. He also won the Crowne Plaza Copenhagen Challenge in October for good measure." Where Are They Now? The Swede picked up his first European Tour victory at the BMW Masters in 2015 - finishing ahead of future Masters winner Patrick Reed - but he has struggled to follow that triumph up with more. Injuries and ailments have blighted his career since, and the 31-year-old is now ranked 753rd in the World. What Golfshake Said in 2013: "Espen Kofstad only decided he wanted to be a professional golfer aged 20 when studying at the University of Denver, and it turned out to be an inspired decision. The Norwegian has been in excellent form this year, winning his first professional title at the Double Tree by Hilton Acaya Open and following it with triumph at the Apulia San Domenico Grand Final. His second victory propelled him to the top of the Challenge Tour Money List, and he put on a good showing at November’s SA Open, showing his proficiency for top-tier golf." Where Are They Now? The Norwegian failed to retain his card in 2013 - missing 17 of 30 cuts - but did come through the Qualifying School in both 2014 and 2016. However, injuries have restricted his playing time, though he did rebound to win a Challenge Tour event in Slovakia back in 2016. Little has happened since, sadly, and the 30-year-old is ranked outside the world's top 1000. What Golfshake Said in 2013: "Henrik Stenson won for the first time in three and a half years at the SA Open in November, and that victory should be the catalyst for a complete resurgence. Stenson has spent more than 100 weeks inside the world’s top ten, and his career-high ranking of fourth is the best by any Swedish golfer. 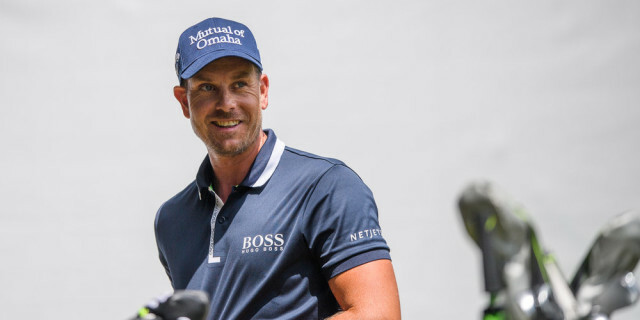 In 2013, I wouldn’t be at all surprised to see Stenson return to the form that saw him win the 2007 WGC-Accenture Matchplay and the 2009 Players Championship." Where Are They Now? Henrik Stenson has experienced lows in his career, but it has been all positive since 2013. Finishing runner-up to Phil Mickelson at that year's Open Championship at Muirfield, he won in Dubai, and two FedEx Cup Playoffs, to complete a historic Race to Dubai and FedEx Cup double. However, the biggest high was to come in 2016, when he avenged his loss in East Lothian by facing Mickelson in a breathtaking duel at Royal Troon, one of the greatest in major history, and it was the Swede who triumphed, securing the Claret Jug in thrilling fashion.